HAWK: HAND OF THE MACHINE is now out in both paperback and Kindle! 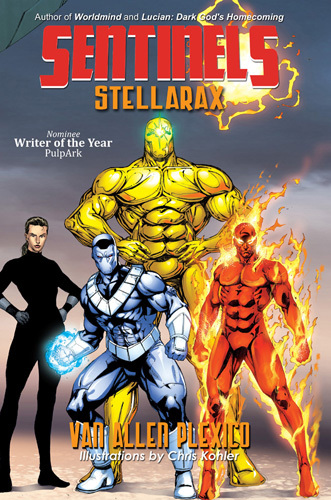 The galactic agent known as HAWK has awakened too soon in a galaxy shattered by apocalyptic warfare. His master, the Machine, is possibly insane, and the great Adversary of Man has returned. Now he must confront his former allies, turned renegades and pirates instead of soldiers. His new mission is simple, yet perhaps impossible: He must unite them–or all life in our galaxy will end! 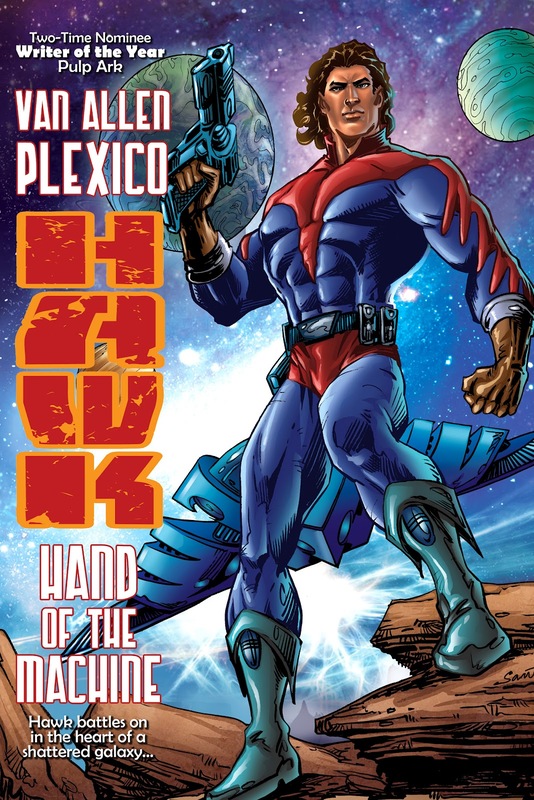 HAWK: HAND OF THE MACHINE from White Rocket Books is vintage Van Allen Plexico— stripped-down, all-out Military SF/New Pulp action and adventure in the grand tradition, with bold heroes, deadly menaces, and the future of the very galaxy at stake!